Here are the results. 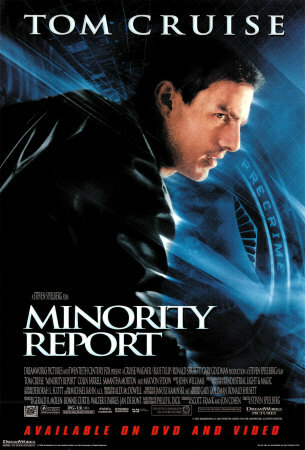 Tony and John will have to arm-wrestle for the full-screen copy of Minority Report. The landslide consensus incorrect picks were No Country for Old Men winning Cinematography and Julie Christie for Best Actress. You all listened to the hype on that last one, since I know hardly anyone saw that film. 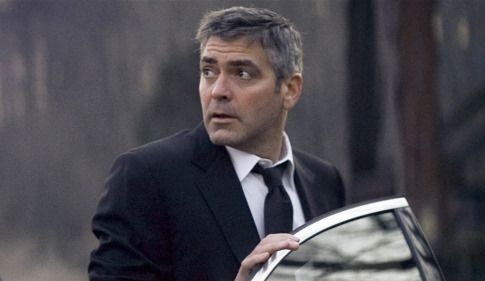 It may not win any Oscars, but I still really like Michael Clayton. I think the scene where Clayton ventures out into a field to look at a trio of horses is one of the most unique moments I've seen in an American film in a very long time. It's simultaneously inexplicable and completely believable. I found that really unnerving and exciting. I really want to hand it to Tony Gilroy, even if the Academy doesn't this coming weekend. 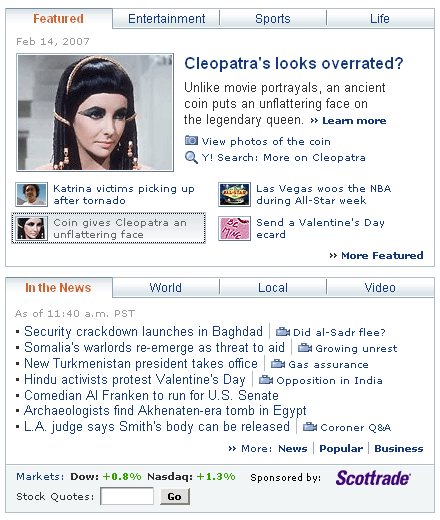 I like to keep the ratio of blog redesigns to blog posts at about 2:1 or higher. That said, it's not always a simple matter to come up with a style that balances ease of (dis)use and provides enough minutiae that it looks, to the casual observer, that I actually still live on this planet. I'm particularly chuffed about the sidebars, which I've been tweaking for what seems an eternity. Most of them are linked to specific tags on del.icio.us, my bookmark service of choice. In fact, I think my next post will be a little tutorial on how to collect, display, and rebroadcast feeds from del.icio.us. Most of the strategies are dead simple, but there are a few tricks that I've discovered that might be of use to the blogging community. Look for that in '08 or maybe after the next election. I read a lot of feeds and do a decent job of keeping up. My strategy? Skim and "star" interesting articles for full attention later. This allows me to keep on top of 100-200 incoming streams per day and I rarely have to declare "RSS bankruptcy." The problem: I don't go back and give my full attention to those starred items as often as I'd like. Ideally, I'd schedule 30 or 40 minutes per day to just really read those posts, nothing else. But, I find, while I'm in Google Reader, poring over those starred posts, new posts are coming in, new emails, and of course, there are the internal links and tangents within the starred posts, tantalizing me to wander back into the information cloud. Now that Google Gears is here, I realize that I can disconnect from the Net and read my feeds. That's great. But what I'd really like is to be able to occasionally print out the last 50 or 60 starred posts and take them away from the computer entirely. I can make my starred posts publicly accessible both web pages and as its own RSS feed, but those pages are really hard to print for some reason, and they're paginated to 10 items per page -- not nearly enough to make printing a time-saver. What's the best solution for collecting and printing the last 50 items in that feed? My coworker and friend Anil Dash interviewed me for his series of posts about "10 Years of Blogging." Yes, I started blogging a long time ago. That said, if you add it all up, it could probably fit comfortably in one Moleskine notebook. Still, I was really excited to have the chance to yak with Anil about the old days, which get harder and harder to remember without the aid of the Wayback Machine. Hopefully, there's something interesting in there, if you are willing to wade through it. I haven't been to Austin for SXSW since 2002. It's good to be back after 5 years. Ping me if you want to meet up. Sadly, we're only going to be here for the Interactive sessions (and parties) and will have to fly back just as the music festival is starting. Not optimal, but a few days of SXSW is far preferable to no days of SXSW. Looking forward to seeing lots of familiar faces and hearing some good stories. Stash and Burn, for the win! Jenny and Nicole's podcast keeps climbing the charts. 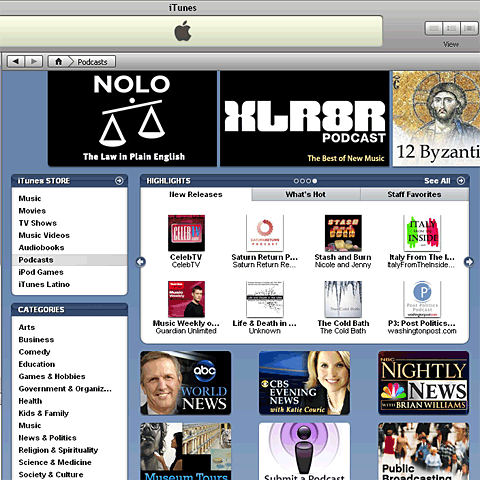 It's now in the "Highlights" box in the main Podcasts category. Way to go, ladies! Yea! 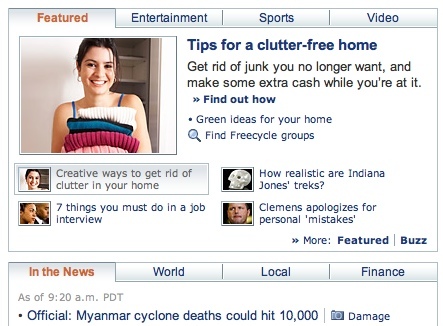 I wish I'd grabbed it when the first news headline was "President Bush Speaks to Nation about War in Iraq." Jenny and I got a chuckle out of that one.